Marco Pierre White is to host a charity dinner event in aid of Claire House Children’s Hospice at the Wheeler’s of St James’s at Pullman Hotel Liverpool. The chef and restaurateur will be in the city on Tuesday 17 April to raise money for the charity with a three-course meal at the waterfront restaurant. The menu will feature a selection of dishes for diners to choose from, including the seafood restaurant’s signature dish Oysters Rockefeller, which is inspired by the original 1800s recipe from Antoine’s in New Orleans, The Guvnor’s fish and chips and Cambridge burnt cream. Guests will also receive a copy of his cookbook, which he will be signing on the evening. The occasion is to help fundraise for Claire House Children’s Hospice, which recently launched its new Liverpool hospice on the site of the former monastery in West Derby. Although not yet a full hospice, the charity’s Liverpool site is able to offer day care services, counselling and complementary therapies, as well as a venue for its mums and tots and babies groups. Marco was made a patron of Claire House Children’s Hospice in 2011 in recognition of his support for the charity, which helps seriously and terminally ill children enjoy their lives by creating wonderful experiences and providing support to families. 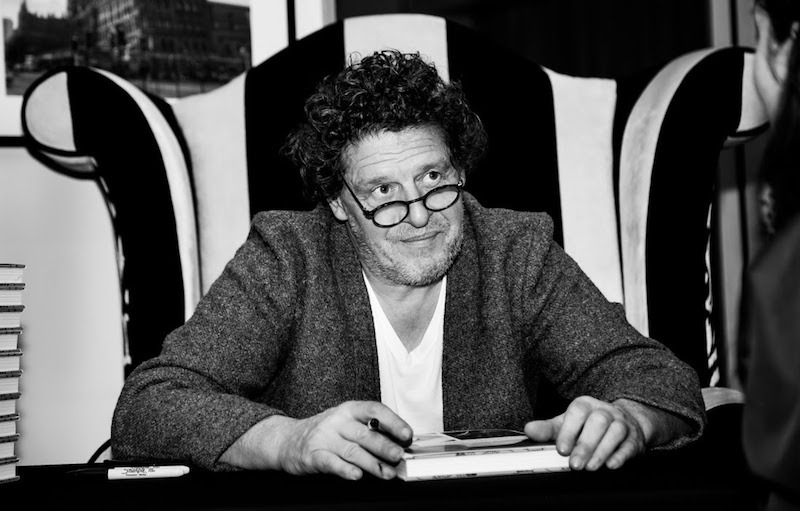 Marco Pierre White says: “I am really looking forward to my visit to the iconic city of Liverpool and to meet the wonderful, dedicated people at Claire House. Tickets for the event on Tuesday 17 April cost £75, with all proceeds from ticket sales being donated to Claire House. To book visit https://www.mpwrestaurants.co.uk/our-brands/wheelers-of-st-jamess/liverpool/menus or call 0151 945 1010.